Your business depends on getting the parts you need, when and where you need them. Our distribution centers are located across the country and employ the latest product-sourcing technology to distribute parts quickly and get you back to business. 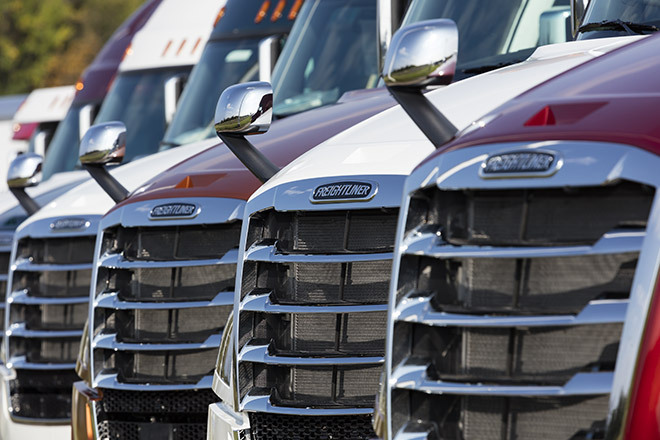 When it comes to buying parts for your Freightliner, don’t settle for imitations. 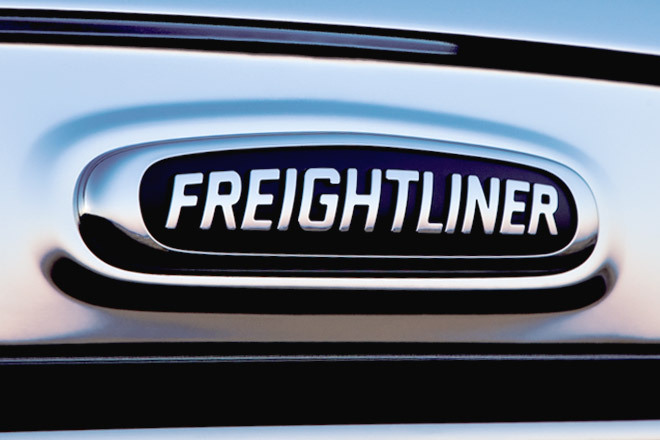 Only Freightliner genuine parts are backed with our industry-leading warranty. Get a new or remanufactured Detroit™ part that is designed specifically to fit your engine, axles and transmission. 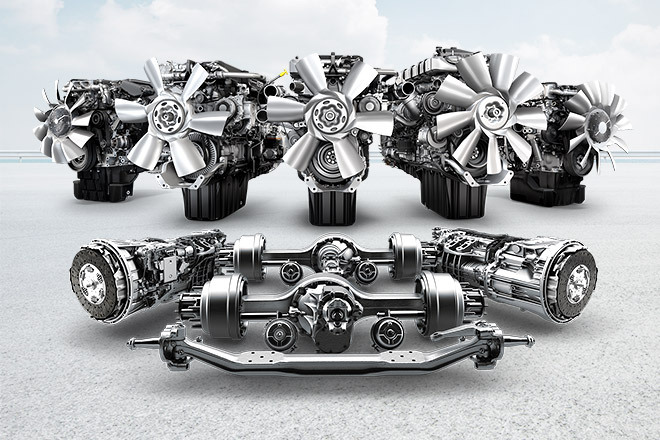 Detroit parts are engineered for performance and reliability. 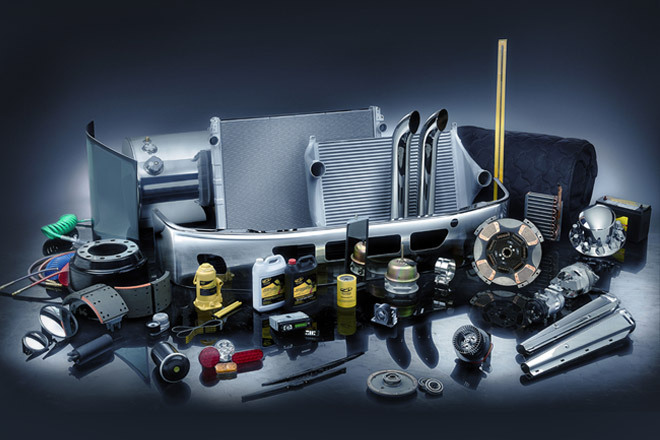 With more than 800 locations across North America, Alliance Truck Parts is your go-to source for new and remanufactured parts and accessories. Harness the latest technology to cut maintenance and repair costs with Pinnacle Fleet Solutions. Review the benefits and get information on enrollment today! 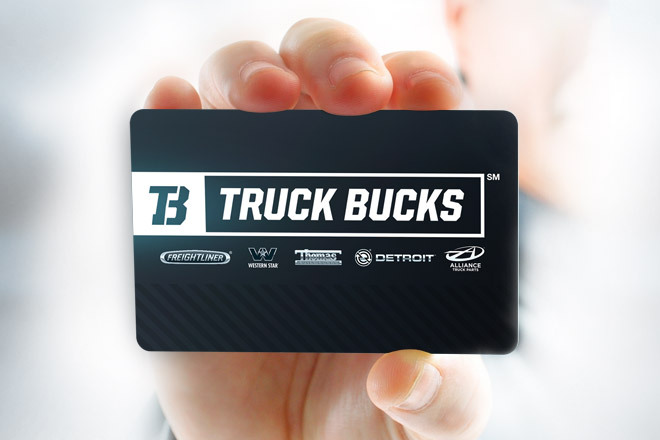 Save money when you use your free Truck Bucks card and discounts on parts and services at participating locations. Enroll online or at a participating parts and service location. 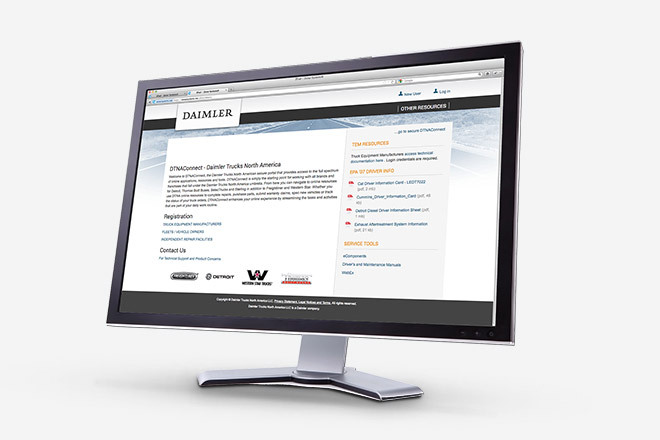 Enroll via DTNA Connect to access Parts Pro and find every part based off your current truck. You can search for the right part based on make, model, year and other related fields.